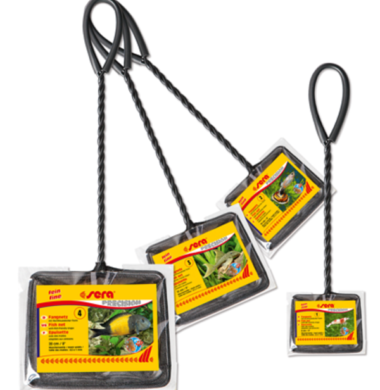 Aquascraper (4 in 1 cleaning kit). This clever maintenance tool eliminates the need for multiple products by offering 4 unique interchangeable attachments in 1 space saving unit. The Aquascrape is available in 6″, 12″, 24″ and 36″ handle lengths to eliminate algae in the deepest aquariums without ever getting your hands wet. 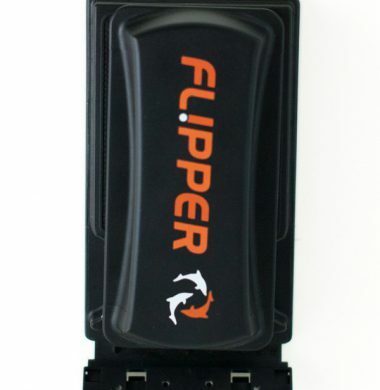 The perfect tool to compliment any size aquarium for quick and easy cleaning and husbandry. 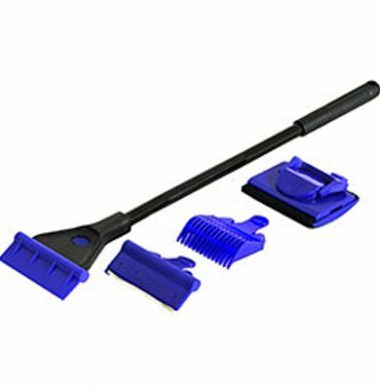 Coralline Algae Scraper (Acrylic Tanks) Easily scrape hard to remove calcium-based coralline algae off acrylic tanks without the fear of scratching. 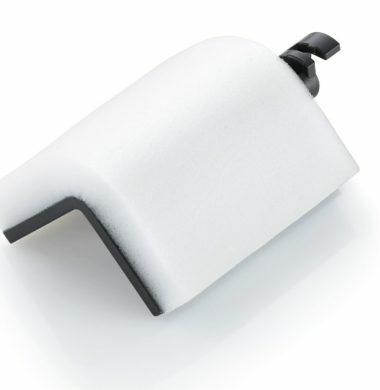 Our plastic scraper is 3″ wide and angled to give you the perfect leverage against the most stubborn algae. 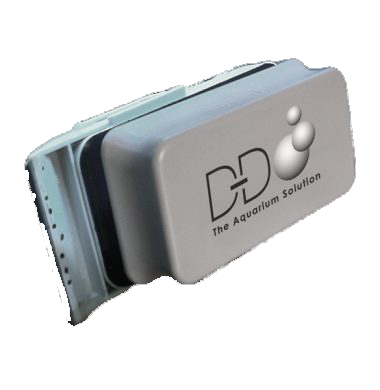 Stainless Steel Scraper (Glass Tanks) Easily scrape all types of algae off glass aquariums. Our stainless steel scraper is 3″ wide and angled to give you the perfect leverage against the most stubborn algaes. Rotational Polisher Removes algae off glass or acrylic aquariums with a convenient head that rotates to reach hard-to-clean areas. 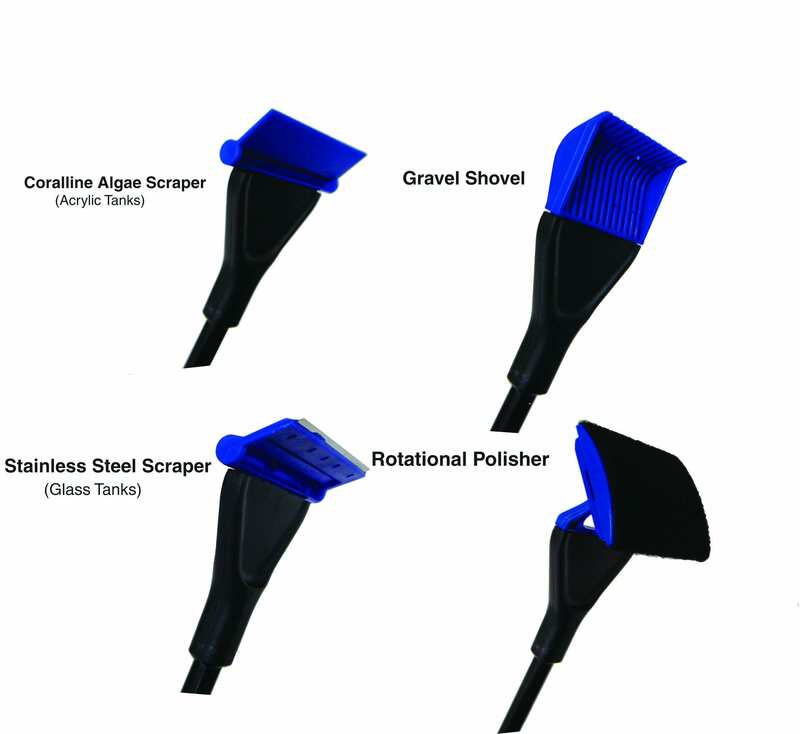 Gravel Shovel The perfect tool to sift sand or gravel without getting your hands wet. Easily remove empty snail shells or other debris out of the aquarium. The Aqua Medic Fish Trap allows the Aquarist to safely and securely capture, remove and/or introduce new fish to his or her Aquarium. 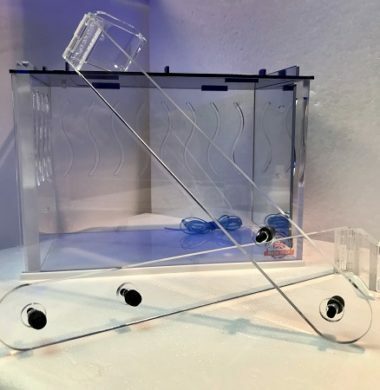 The Aqua Medic Fish Trap features a feeding tube, as well as a glass trap door and bottom plate to ensure that the removal/introduction process is as smooth and stress-free for the fish as possible. 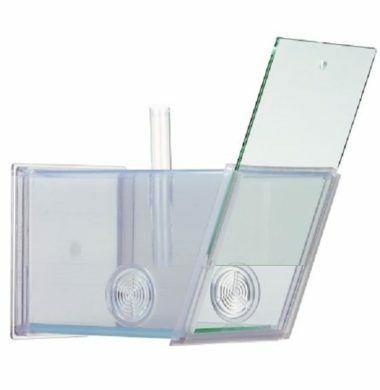 The Eheim Rapid Cleaner Replacement Blade Holder is designed to remove tough algae from the inside panes of your Aquarium. The Eheim Rapid Cleaner Cleaning Sponge 90 Degree allows the Aquarist to thoroughly clean the inside corners of their Aquarium, reducing the risk of slicing the silicone sealings in the process that could occur when using a scraper blade. A high quality magnetic glass cleaner for glass aquaria between 10-24mm glass thickness Extra Large and 16mm Large. A professional grade glass cleaner that does what it says on the tin. 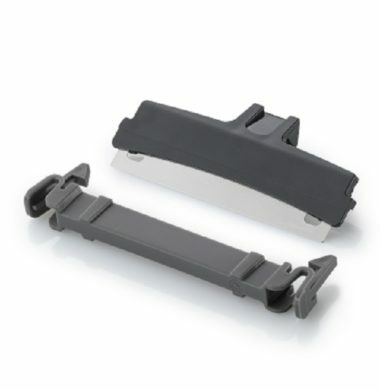 Magnetised Scraper and Scrubber for Acrylic and Glass Aquariums. 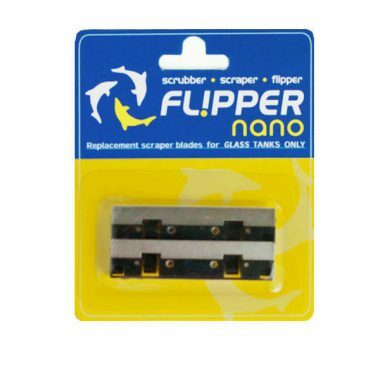 Replacement Metal Blades for Flipper Nano Aquarium Scraper. 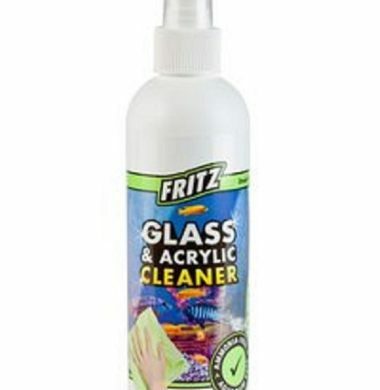 The Fritz Glass & Acrylic Cleaner is an ammonia-free product designed to aid in the cleaning and polishing of Aquarium Glass and/or Acrylic. The Fritz Glass & Acrylic Cleaner allows the aquarist to polishing the outer surface of their Aquarium to a suitable standard, whilst not jeopardising the health of the animals within it. 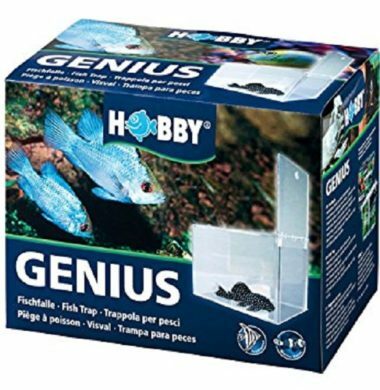 The Hobby Genius Fish Trap is designed to aid in the capture, removal and/or introduction of Fish to your Aquarium.